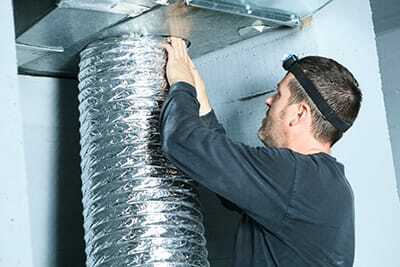 Home and business owners alike are rarely familiar with what air ducts mean to a structure – this can lead to quite a few difficulties as time passes. The air duct in your commercial building is the main way for fresh air to enter the structure as well as for bacteria and pollutants to leave it. Home air duct cleaning is great and all, and we definitely recommend it to every home owner looking to improve his or her quality of life. But commercial air duct cleaning is that much more important because of the nature of the work that goes on in many commercial structures. Fumes, steam, viruses from various sick employees – without proper structural ventilation, these things can stick around and make spending time around your workplace a nightmare. With clogged up air ducts, indoor pollutants will have no way of leaving the room and will continue to linger indefinitely, potentially making your employees sick and lowering their productivity. But there's more: an air duct that hasn't been cleaned in a long time is almost guaranteed to harbor all sorts of nasty stuff that could be detrimental to a person's health. 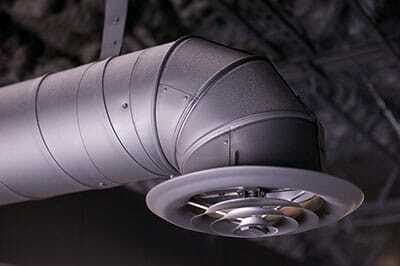 Dust, dirt and even pests – these are commonly found in poorly-kept air ducts, and building owners are often disgusted to see what's been hanging around in their ducts for a long time. We wouldn't recommend trying to do any of our services on your own, as you won't get far without the kind of technical expertise and knowledge necessary to perform AC repairs. But air duct cleaning is one of the things that you can't even try to do yourself – due to how they're built, air ducts can only be cleaned by specialized equipment like the one Boerne Air Conditioning Experts use. We start every commercial air duct cleaning job by scouting the inside of the duct to get a feel of what the situation is – we do this so no part of the duct gets skipped as we work. Then, we move on to cleaning the duct with special tools that will remove every last unwanted particle and render your duct squeaky-clean. It's worth noting that commercial air duct cleaning is often more complex than the cleaning of home ducts, not just because the structures tend to be larger but also because of the different architecture. This might mean that we'll have to work a bit longer in order to get optimal results, but don't worry – we'll do so without disturbing any of your employees or making a mess in the workplace. Have your employees been experiencing symptoms such as sneezing, coughing or shortness of breath? Have they complained about foul smells around the workplace with no apparent source? If so, it's high time you give us a call – as a business owner, you're responsible for the health of each and every one of your employees, and having the air ducts in the workplace cleaned is one of the best ways to ensure everyone stays healthy while on the job.